Your posts never fail to make me laugh Erica. I imagine if someone wanted to roll a phat one, there was quite literally a roach on the floor. Tell me Peter isn't dead! 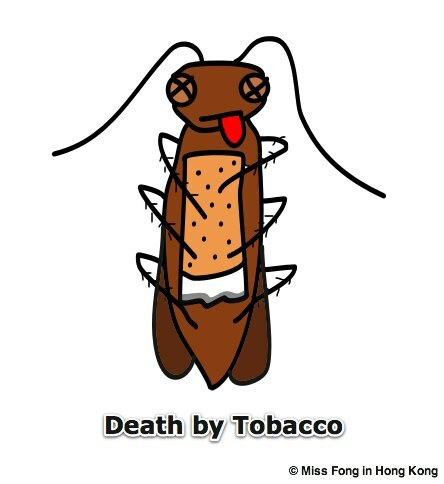 Honestly, I think it's a good PSA: smoking kills, even the indestructible cockroach cannot survive the poison of cigarette smoke!